Stay up to date with our construction progress and watch as we grow 24/7! It's official. The 7 Cedars Hotel is underway! As we take this step to expand the 7 Cedars experience, we invite you to join us on this journey with our live web cam that will stream the construction project 24/7. As well, the Casino—including all amenities and services—will be fully operational throughout this exciting project. It may get a little dusty, but it's business as usual at 7 Cedars Casino! Besides offering some of the hottest games around, we also take great pleasure in knowing we do everything we can to ensure your visit here is both fun and rewarding. 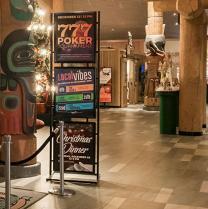 Find out what suits you best on our gaming floor, or check out some of Seattle area’s top bands in Club Seven. 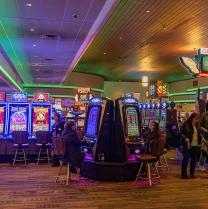 At 7 Cedars Casino, it’s all fun and games! 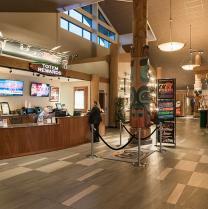 With restaurants at the casino, the golf course and our Longhouse Market & Deli, there is something available around the clock to satisfy any appetite. Known for some of the friendliest faces you’ll find, our staff is always aimed to please. Looking for banquet space? We have that too. 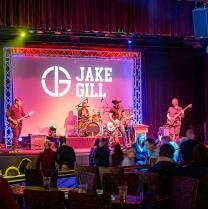 Let us help make your next event a success! 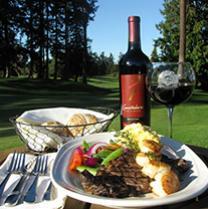 The Totem Rewards program is our way of acknowledging customer loyalty and the valuable time guests spend with us. It’s an absolutely FREE program that rewards guests with special offers, exclusive invitations, and perks! The Totem Reward Card is your gateway to our monthly promotions and giveaways. Sign up today! Voted #1 Golf Course FIVE years running in King5's Best, the Cedars at Dungeness is much more than your average golf course. 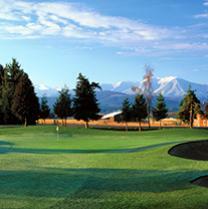 Located in sunny Sequim, this year-round 18-hole Championship course is known to be the driest course in Western Washington. Book your tee time now and experience the Cedars at Dungeness for yourself! "I don't know how this place could be better." The Longhouse Market & Deli is open 24 hours a day, seven days a week, and is not your ordinary market. Offering 12 fueling stations (including diesel and propane), a walk-in humidor, gourmet coffee bar, the largest selection of beer, wine, and spirits on the Peninsula, and the Harvest Deli—serving made-to-order sandwiches, salads, and other hot-food selections.